"The Unmaking of Americans: Are There Still American Values Worth Fighting For?" 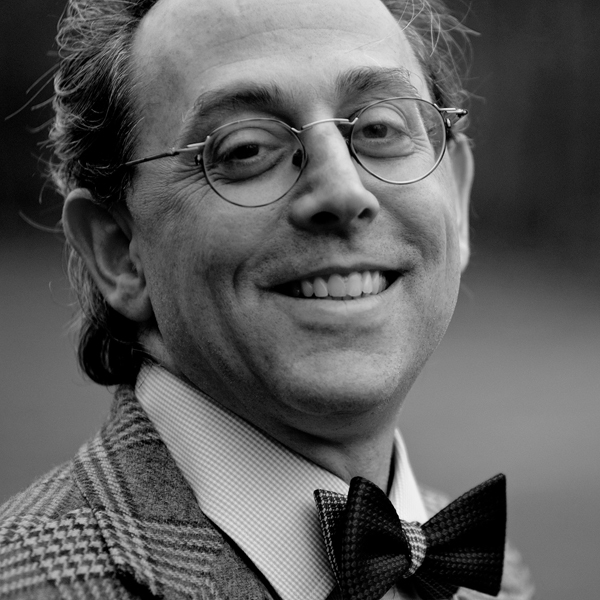 Roger Berkowitz - Associate Professor of Political Studies and Human Rights at Bard College; Academic Director, Hannah Arendt Center for Politics and the Humanities. Author of Gift of Science: Leibniz and the Modern Legal Tradition, and co-editor of Thinking in Dark Times: Hannah Arendt on Ethics and Politics. Leon Botstein - President, Bard College since 1975. Chairman, Central European University. Board member Open Society Foundations. Music Director, American Symphony Orchestra 1992 to present. Artistic director, Summerscape and Bard Music Festivals. Music Director, Jerusalem Symphony Orchestra (2003 to 2010). Author of Jefferson's Children: Education and the Promise of American Culture. David Bromwich - a fellow of the American Academy of Arts and Sciences and Sterling Professor of English at Yale University. He is the author of The Intellectual Life of Edmund Burke: From the Sublime and Beautiful to American Independence and Moral Imagination. A frequent contributor to Huffington Post, his essays have also appeared in The New Republic andThe New York Review of Books. Kennan Ferguson - Associate Professor of Political Science at the University of Wisconsin-Milwaukee. His primary research interest is political theory. He is the author of All in the Family: On Community and Incommensurability and William James: Politics in the Pluriverse and has published articles in a number of academic journals including Social Text, Theory & Event, and Political Theory. Anand Giridharadas - NY Times and International Herald Tribune columnist. He is author of two books, India Calling: An Intimate Portrait of a Nation's Remaking and The True American: Murder and Mercy in Texas. Dean Hachamovitch - B.A. in mathematics, Harvard University; corporate vice president at Microsoft, responsible for the practical application of data and statistical methods to improve products; former head of Microsoft's Internet Explorer team (2003-13); member, Board of the Hannah Arendt Center. Jerome Kohn - Trustee, Hannah Arendt Bluecher Literary Trust, editor of Arendt's unpublished and uncollected writings: The Promise of Politics, Essays on Understanding 1930-1954, Responsibility and Judgment and The Jewish Writings (with Ron Feldman). Ann Lauterbach - Schwab Professor of Languages and Literature at Bard College and co-chair of writing in the Milton Avery School of the Arts. She is the author of a number of poetry collections, including Under the Sign and Or to Begin Again. She is also the recipient of fellowships from the Guggenheim Foundation, the New York State Foundation for the Arts, the Ingram Merrill Foundation, and in 1995, she was awarded the prestigious MacArthur Fellowship. Uday Singh Mehta- Distinguished professor of Political Science at the Graduate Center, CUNY. He is the author of The Anxiety of Freedom and Liberalism and Empire. The American Political Association awarded him the J. David Greenstone Book Award in 2001 for the best book in history and theory. Lawrence Lessig - Roy L. Furman Professor of Law and Leadership at Harvard Law School and co-founder of Creative Commons. His research interests include campaign reform, ethics, philosophy, economics, and the ways in which ideas are exchanged in a globalized world. He is the author of several books, including Republic, Lost: How Money Corrupts Congress--And a Plan to Stop It and Code: And Other Laws of Cyberspace, Version 2.0. Charles Murray - Political scientist, author, and libertarian. He has been a scholar at the American Enterprise Institute since 1990 and is a former Senior Fellow at the Manhattan Institute for Policy Research. His research interests include marriage, family, social mores, crime, and culture. He is the author of a number of books, including Coming Apart: The State of White America, 1960-2010, which explores the new ways in which classes are forming in America regardless of race or ethnicity; and The New York Times bestseller The Bell Curve. George Packer - Staff writer for The New Yorker. He has written numerous articles, reviews, and essays on foreign affairs, American politics, and literature. He is also the author of several books, including The Unwinding: An Inner History of the New America, which explores the sense of crisis and division in contemporary American politics; and The Assassins' Gate: America in Iraq, which was named one of the ten best books of 2005 by The New York Times and won the New York Public Library’s Helen Bernstein Book Award and an Overseas Press Club’s book award. Joan Richardson - Distinguished Professor of English and Comparative Literature at The Graduate Center, CUNY. Her research interests include American literature focusing on the 19th and 20th centuries, modernism, and poetics. She is the author of numerous publications, including A Natural History of Pragmatism: The Fact of Feeling from Jonathan Edwards to Gertrude Stein, Wallace Stevens: The Later Years, 1923-1955 and Wallace Stevens: The Early Years, 1879-1923. Her latest book, Pragmatism and American Experience, was just released in June, 2014. She is the recipient of the Woodrow Wilson, National Endowment for the Humanities and a Guggenheim Foundation Fellowship in 2012. Amity Shlaes is the author of the New York Times bestsellers, The Forgotten Man: A New History of the Great Depression. She currently chairs the board of trustees of the Calvin Coolidge Presidential Foundation. In 2008, she joined NYU Stern School of Business where she is a Professor of Economic History. She is a current event columnist for Forbes and a regular contributor to Marketplace. Jim Sleeper - American author and journalist. He is a political science Professor at Yale University and author of two books, The Closest of Strangers: Liberalism and the Politics of Race in New York and Liberal Racism. He is also a member of the editorial board of the journal, Dissent. Zephyr Teachout - Associate Professor of Law at Fordham University. Her research interests include how laws influence the polticial behavior of different sets of actors, as well as the constitutional history of corruption. She has a forthcoming book, Corruption in America, that will be released in September 2014. She is also well-known for having challenged NY Governor Andrew Cuomo for the Working Families Party's nomination in June. Kendall Thomas - Nash Professor of Law and Director of the Center for the Study of Law and Culture at Columbia University. His areas of expertise include U.S. and comparative constitutional law, human rights, and legal philosophy. He is a co-editor of Critical Race Theory: The Key Writings that Founded the Movement and What's Left of Theory?. He was also an inaugural recipient of the Berlin Prize Fellowship of the American Academy in Berlin, Germany. Drucilla Cornell - Author of At the Heart of Freedom. She is a professor of Political Science, Women's Studies, and Comparative Literature at Rutgers. She also teaches at Birkbeck College, University of London and the University of Pretoria in South Afrrica. Jennie Han - Graduate of Yale University, Yale Law School, and Oxford University, where she was a Rhodes Scholar; former Postdoctoral Fellow, Hannah Arendt Center-Bard Prison Initiative. Philip K. Howard- Author of The Rule of Nobody, Saving American from Dead Laws and Broken Government. He is also author of the best-seller The Death of Common Sense, The Collapse of the Common Good, and Life Without Lawyers. He formed Common Good in 2002, which is dedicated to restoring common sense to America. Jennifer Hudson - Holds a PhD in political science from Columbia University. She is currently a Hannah Arendt Center Associate Fellow and teaches in the BPI Program at Bard College. Wyatt Mason - Senior Fellow, Hannah Arendt Center; contributing writer, New York Times Magazine and Harper’s; writing also appears in New York Review of Books, GQ, and New Yorker. David Matias - B.A., Amherst College; M.A. in financial engineering, MIT Sloan School of Management; certified public accountant; managing principal of Vodia Capital, which he cofounded in 2004; cofounder of Vodia Ventures, investing in seed-stage technologies addressing global challenges; member, Board of the Hannah Arendt Center. Laurie Naranch - Associate Professor of Political Science, Sienna College. Robert Post - Dean and Professor of Law at Yale Law School. He is the author of Citizens Divided, Campaign Finance Reform and the Constitution and Democracy, Expertise, Academic Freedom: A First Amendment Jurisprudence for the Modern State. Peter Rosenblum - Professor of International Law and Human Rights, Bard College. Thomas Wild - Assistant Professor of German at Bard College and Hannah Arendt Center Research Associate. Publications include; monograph on Arendt's relationships with key postwar German writer, an intellectual biography of Arendt, and an edition of poetry by Thomas Brasch. Associate Professor of Political Studies and Human Rights at Bard College; Academic Director, Hannah Arendt Center for Politics and the Humanities. Author of Gift of Science: Leibiniz and the Modern Legal Tradition, and co-editor of Thinking in Dark Times: Hannah Arendt on Ethics and Politics. Coming soon! Check back shortly! \"The rebels of the 19th and 20th centuries fought against tradition. They were occupied with critique and destruction of past and authoritative structures. Today, in the wake of the fact of the break of tradition and the loss of authority, we face the ominous silence that answers us whenever we ask: \'What are we fighting for?\'\"
In the last year, popular books like The Unwinding by George Packer and Coming Apart by Charles Murray have bemoaned the fading of the American Ideal. On the left, The Unwinding tells the tale of the demise of American institutions and the loss of American ideals as an inspiring dream. On the right, Coming Apart gives voice to the sense that America no longer exists as a single nation; Murray argues that Americans in wealthy zip codes have pitifully little in common with their countrymen in poor zip codes. These differences include not simply lifestyle, but also values and dreams. If Murray thinks Americans are increasingly living in fundamentally different worlds, Packer sees the once great American dream crumbling around us, consumed by corruption, consumption, and institutional failure. We confront today the weakening of our collective vision of freedom and equality. Occupy Wall Street and the Tea Party manifest anger at the betrayal of American constitutional democracy, but with little awareness of a common heritage. Americans are dismayed at the power of money, the decay of self-governance, and a bureaucracy that seems impervious to popular control. And yet few dare to articulate a collective vision that might hold the country together. We are as a city set upon an hill, in the open view of all the earth; the eyes of the world are upon us because we profess ourselves to be a people in covenant with God, and therefore not only the Lord our God, with whom we have made covenant, but heaven and earth, angels and men, that are witnesses of our profession, will cry shame upon us, if we walk contrary to the covenant which we have professed and promised to walk in. There have always been opponents of The Myth of American Exceptionalism. But overall, the myth has had some basis in sociological reality. Americans were more religious than other democratic and liberal states. Americans believed they had more economic mobility, and saw their country as the first truly multi-ethnic and multi-racial democracy; one that developed in fits and starts towards an ideal of equality over 200 years. And yet, today, the country that for 200 years saw itself confidently as the \"New World\"—the Novus Ordo Saeculorum—is shedding its missionary zeal. In opinion surveys, younger Americans are significantly less likely to be “extremely proud to be American” or to believe that American possesses a special virtue as a force for good in the world. Upward income mobility, the heart of the American dream, is more rare in the United States than in most of Europe. And the American tradition of local self-government—what Hannah Arendt saw as the true innovation of American freedom—has been superseded by the rise of centralized power in the service of national security. It is hard to deny the truth that America is, today, increasingly less exceptional than in the past. Are there common ideals left that we share as Americans? How can racial justice co-exist with American ideals? Can Americans build institutions that will nurture a common world? What are the common ideas that can inspire America in the 21st century? We invite you to join us as we explore the fundamental question, what American means today? 10:00 AM America: What Are We Fighting For? 10:30 AM Is There Still An Idea Of America That Can Inspire People To Sacrifice For The Common Good? 2:30 PM Is America Pragmatism American? 4:00 PM Is America A Land Of Freedom? Truffles and cookies will be provided by Pound for Pound Bakery in support of the HAC. 10:30 AM Is American Exceptionalism A Force For Moral Good? 12:15 PM Does American Democracy Presume Racial Justice? 3:00 PM What Is A True American? 4:15 PM Can We Restore American Democracy? Are There Still American Values Worth Fighting For? The two-day conference, “The Unmaking of Americans” will ask what aspirations and which dreams still animate American idealism. Americans today must confront the weakening of a collective vision of freedom and equality. And yet few dare to articulate a collective vision that might hold the country together. The Arendt conference brings together scholars, writers, and educators to ask, “Are there still American values worth fighting for? America has long imagined itself a “city upon a hill.” Yet, we confront today a weakening of our collective vision. Americans are dismayed at the power of money, the decay of self-governance, and a bureaucracy impervious to popular control. And yet few dare to articulate a collective vision that might hold the country together. As Hannah Arendt argued nearly 50 years ago, “we face the ominous silence that answers us whenever we ask: 'What are we fighting for?'" In the United States of America, there has long been an assumption that we had an answer to Arendt's question. We fight for freedom and democracy. We fight for equality and difference. Above all we fight for "a new nation, conceived in Liberty, and dedicated to the proposition that all men are created equal." Not only in America, but around the world, we confront a weakening of such political visions. In America, the ideals of freedom, equality, and a common destiny that have are in decline. On both the left and the right there is fear the country has lost its way. To explore the future of an American idea, we will sponsor "The Unmaking of Americans: Are There Still American Values Worth Fighting For?" Admission is complimentary for Hannah Arendt Center members, Bard College faculty and staff, and students. Regular admission for the two-day conference is $20 per person. To view a full conference schedule and bios of featured speakers, please click, here. Join us for the live webcast! Oct. 9 and Oct. 10 at 10am EST.